Business from time to time should expand. That should be the mindset. We don’t do business to lose, we do it to Gain! But as our enterprise grow, our attention gets directed to spatial issues. Especially when we need to add teams to our workforce. A certain space compromising paradigm begins to accommodate the growth. It will start with one team occupying what used to be the conference room. Then other rooms will be occupied too. Until a point where you send some of the teams to an auxiliary space on the next floor. If you own the location, then construction will not be a problem. You can simply construct exclusive floors for your new teams. But in a completely different scenario, the best option for you is business relocation. Growth is a fragile process. You can’t afford any delays. So, when you are growing, you can’t let issues such as space hold you down. There are always other locations that can accommodate your growing enterprise. Now, moving houses is pretty complicated enough. How much more if it’s your enterprise that you are moving? You need to have it planed perfectly well. Fret not! A perfect plan is easily formulated when you have the right information under your sleeves. Thus, in this article, we will discuss each area where you need to focus your research on for the new location. To get the right answers, you need to ask the right questions. Remember, you are looking for a solution to your problems of the previous place. For example, in the aforementioned situation, you needed space to accommodate the additional teams on your workforce. Hence, you will need a bigger location. If your finances allow it, you can probably construct a new site. An auxiliary branch if you will. Or even better, a new building. Ergo, you will need to research the best location to do these. Therefore, when you do your research, list the reasons for your move and see to it that your prospect will provide you with the solutions that you need. Outline the pros and cons if necessary. You can be less strict, but if you are compromising too much, then your back to square one. When you are certain that your solutions are met, it is also good to consider the accessibility of the new place. The closer to road links it is, the better. Consider your employees that will be using public transportation as well. Choose an area where they can easily get a cab, or safely walk to the bus stop. If you are expecting deliveries, the more you need accessibility in the new place. Since you do business not only for yourself but rather mainly for your customers, you would really need to see to it that your enterprise should be placed at the heart of an accessible area. Accessibility certainly affects its progress. Customers would always take a look at the location itself. They would always prefer an area that is easy or within their reach and hassle-free that does not require much time for travel. While you do your research, it’s best to include research about the people in the location too. This is to get a bird’s eye view of how your business will do on that location. Especially if you are a manufacturing firm. Get to know what are the common interests of the majority of the population. And anticipate the customer demand. Because this business relocation can become at the same time a business opportunity for you as well. Get this, assuming you did well on the previous location. Then the move should not decrease your market by a margin. Your customers will be looking for you wherever you go and would still demand your trade. Now, after you will have your move. If the new place is highly populated, and your niche is one of the common interest of the people, then eureka! You got yourself a jackpot market expansion. Why Choose the best Business Relocation Services? After you have taken care of the factors listed above. Time to choose the quickest most efficient business relocation services. We are specialist and we understand and deliver to our customers a comprehensive and unique range of moving services. 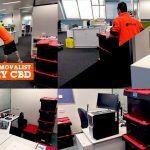 With necessary tools, equipment and resources as required for the seamless delivery of our business and commercial office removal experience. Whichever be your reason for relocating. One thing is for certain. You need both speed and efficiency in an equilibrium. Which means, you can plan the process as carefully as you can, but at the same time, you can’t take so much time completing it as well. Plan carefully. But act immediately. And choose the right partner in this venture. Business Relocation Services is the right choice. Contact us and start your move today.